(Bloomberg) -- The anticipated recreational-marijuana boom of 2019 has stalled in the U.S. Northeast, where New Jersey lawmakers scratched a planned legalization vote and New York’s governor cast doubt on the ability to strike an agreement in his state before a budget deadline. New Jersey until Monday appeared poised to become the nation’s 11th state to legalize adult use, with the bid to end the state’s prohibition supported by Governor Phil Murphy, fellow Democrats who lead the legislature and public-opinion polls. But a scheduled vote in the legislature was canceled when boosters couldn’t overcome opposition from Republicans and some Democrats uneasy with sanctioning a drug that is outlawed by the U.S. government. In New York, Governor Andrew Cuomo told WAMC public radio that his state risked falling behind its neighbor in the race for marijuana revenue amid doubts about whether the New York legislature will approve a bill before April 1, the budget deadline. While the West Coast has created a booming adult-use market, eastern seaboard states have been slow to catch up, with optimism fading for a 2019 breakout. Massachusetts, where sales started in November, has been hit by supply shortages. In New York and New Jersey, the hold-up is political. “This fight is not over,” New Jersey Senate President Steve Sweeney said in a statement announcing that the bill lacked enough yes votes. “We need to learn from this experience and continue to move forward.” At a news conference, he said he would post a bill as soon as votes were secured, but he declined to say whether that would happen in 2019. Legalization in the New York area would provide a major boost for the industry that had more than $10 billion of sales nationwide last year. The tri-state region, which also includes Connecticut, could create a combined market for legal cannabis exceeding $5 billion by 2022, second only to California, the world marijuana leader, according to BDS Analytics, an industry consultant. In New York, lawmakers have deadlocked on issues including regulation, minority ownership of retailers and suppliers and how broadly to expunge the criminal records of those convicted of low-level offenses. 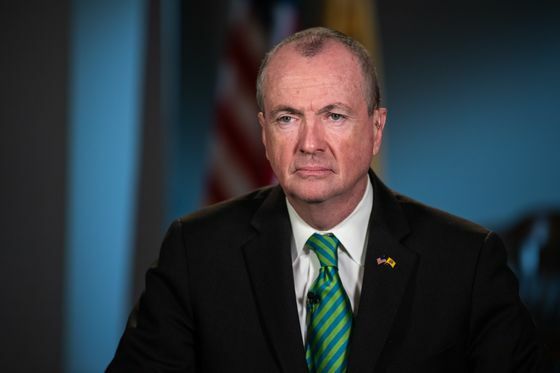 In New Jersey, Murphy last week had warned that Monday may have been the last chance for lawmakers to send him a bill in 2019. The legislature is about to begin time-consuming budget negotiations for the fiscal year that starts July 1, and then 80 of 120 lawmakers facing Assembly elections in November will focus on their campaigns. New Jersey would have been the 11th state to allow recreational sales and use and first in the Manhattan region. At a news conference after the vote was canceled, Murphy said he and legislative leaders were “disappointed, but not defeated.” He said he’d “rather not speculate” on whether the bill could win legislative approval before June 30. Sweeney said that the moment he’s secured the 21 affirmatives to pass, he’ll post the bill for a vote. Some supporters who had considered making marijuana a public-ballot question, as has happened in at least a half-dozen states, said they were leery of that approach because Election Day turnout in November is expected to be low. Most Republicans and some Democrats had argued that legalization would drive up crime in urban areas, lead users to try harder substances and erode preventive-education programs directed at schoolchildren. Others said New Jersey needed broader opportunities for those convicted of low-level marijuana offenses to clear their criminal records.